After the recent cull of flagging and failing shows, the new draft of pilot pickups are making their way to the small screen. 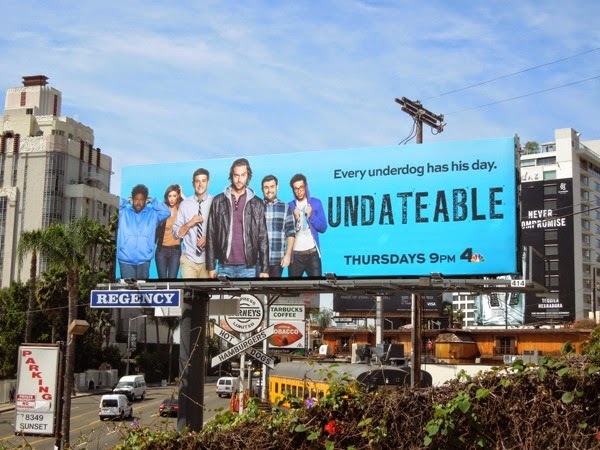 Every season there's always a show that stands out as being a bit forgettable and this billboard for the new sitcom Undateable doesn't really do it any justice. 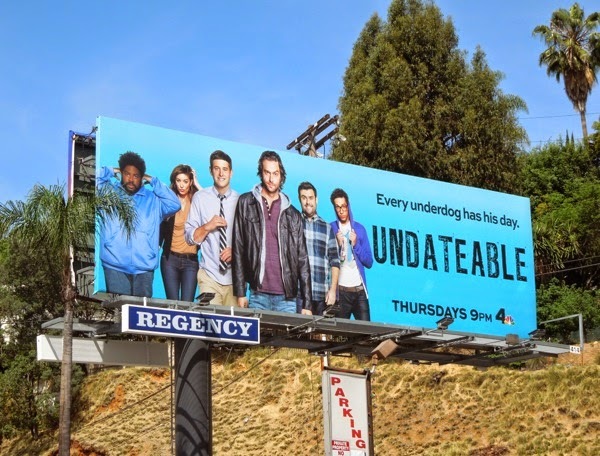 The ad is hardly extraordinary and the men and woman featured don't look particularly undateable, none of them are in their dirty underwear or wearing tin foil hats. Stand-up comic Chris D'Elia stars as confident 'Danny Burton', who decides to help out his new roommate and bar owner (comedian Brent Morin) and his oddball friends with some dating advice, starting with introducing them to his newly divorced sister, played by Rules of Engagement's Bianca Kajlich. 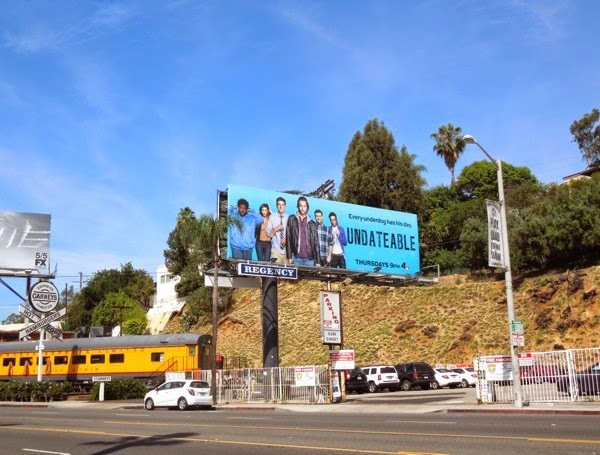 This simple sitcom billboard was spotted along the Sunset Strip in West Hollywood on May 1, 2014. 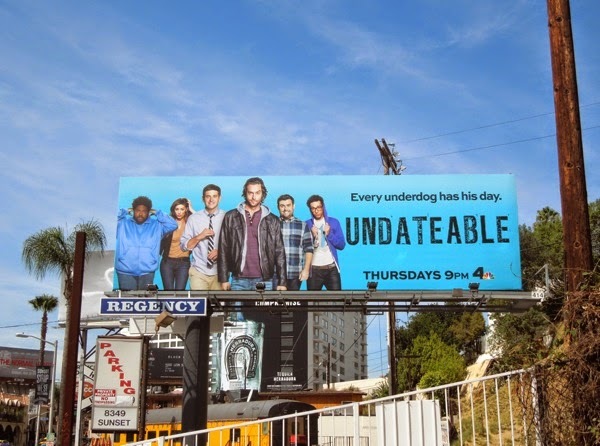 For an example of a far funnier approach to advertising a sitcom, check out these Whitney series premiere billboards from 2011, which also starred Chris D'Elia.